Founded by Byron & Angela Burroughs in 2012, Proof Brewing Company prides itself on being an industry leader of innovative beers. Proof Brewing Co. produces big, bold, flavorful beers and remains committed to true artisanal brewing methods in an evolving industry. 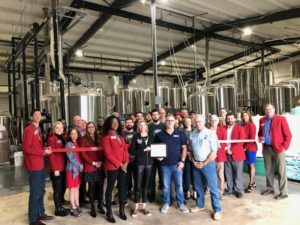 The brewery has received numerous awards and recognition from the world-renowned Hunaphu’s Day, World Beer Cup, Best Florida Beer, and Paste Magazine. Proof Brewing Company is a proud member of the Florida Brewers Guild. For more information, visit www.proofbrewingco.com.